"My name is Ana. Every year, my family makes tamales for Christmas. This year, I am six, so I get to mix the dough, which is made of cornmeal. My sister Lidia is eight, so she gets to spread the dough on the corn husk leaves. I wish I was eight, so that my hands would be big enough to spread the dough just right--not too thick and not too thin." When she turns eighteen, though, Ana knows she will keep making tamales and she will be able to do all of the steps herself in her very own factory. When Christmas comes around, Ana will deliver tamales to all of her customers around the world, in delivery trucks that say "Ana's Tamales." And maybe Ana will even let Lidia work for her. 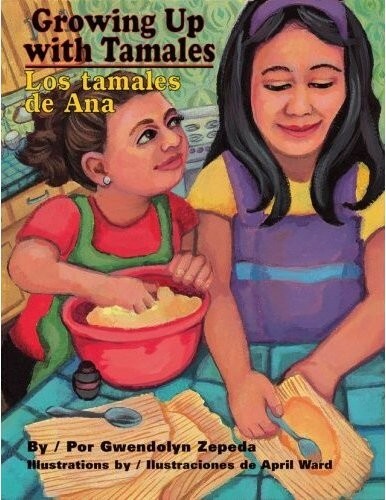 Gwendolyn Zepeda's rhythmic prose is combined with April Ward's bright illustrations to create an affectionate and amusing story about sibling relationships that introduces an important Hispanic holiday tradition--making tamales! Gwendolyn Zepeda was born in Houston, Texas in 1971 and attended the University of Texas at Austin. She began her writing career on the Web in 1997, with her long-running site gwendolynzepeda.com and as one of the founding writers of entertainment site Television Without Pity. Her first book was a short-story collection called To the Last Man I Slept with and All the Jerks Just Like Him (Arte Público Press, 2004). 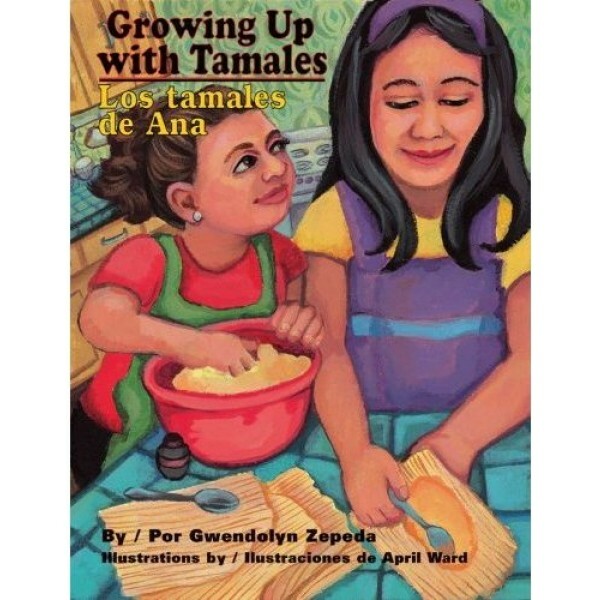 Zepeda's first children's book, Growing Up with Tamales (Piñata Books) is a 2009 Charlotte Zolotow Award Highly Commended Title. Her first novel, Houston, We Have a Problema (Grand Central Publishing, 2009) won praise from Publisher's Weekly and Booklist for its wit and upbeat story. A two-time Houston Arts Alliance literary fellowship winner and award-winning poet, Zepeda regularly lectures at universities throughout Texas. Her latest books include another children's book - Sunflowers (Piñata Books, 2009) - and a new novel from Grand Central Publishing called Lone Star Legend.